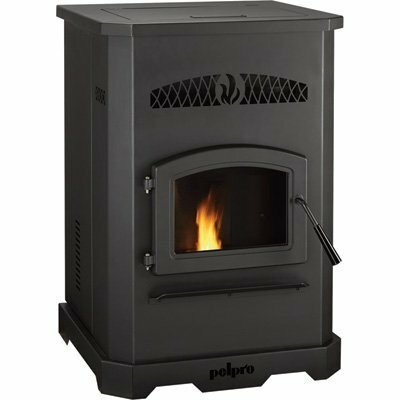 Pelpro Pellet Stove - 50,000 BTU, EPA-Certified, Model# PP130. This Pelpro Pellet Stove features an EPA-certified efficiency of 86.5% to deliver more heat and greater fuel savings. The extra large 130-lb. hopper offers burn times up to 80 hours. Intuitive deal control and auto ignition provide easy, adjustable heat. Fire Box/Hopper Capacity (lbs. ): 130, Flue Collar Size (in. ): 3, Full Load Run Time (Hours): 80, Igniter: Yes, Blower Power Supply (Volts, Amps): 120, Thermostat Included: Yes, Blower (CFM): 265, Heat Settings: 3, Fuel Type: Wood pellet, Dimensions W x D x H (in. ): 24 1/2 x 23 x 36.5, BTU Output: 50,000, Heating Capability (sq. ft.): 2,200, Blower Included: Yes. Comfortbilt Pellet Stove -HP50 42,000 BTU - Now Available in Burgundy! 42,000 btu- Now in Burgundy! -Auto Ignition-Programmable Thermostat-Powerful blower,Flashy European Design (21" wide x 28" deep x 36" high)- EPA certified, 47 lbs hopper capacity, Auto Air Wash Glass. 110 volt 86 % burn efficiency, heats up to 2,200 sq ft, 1 year warranty, parts available. No Shipping to Alaska, Hawaii or Puerto Rico. 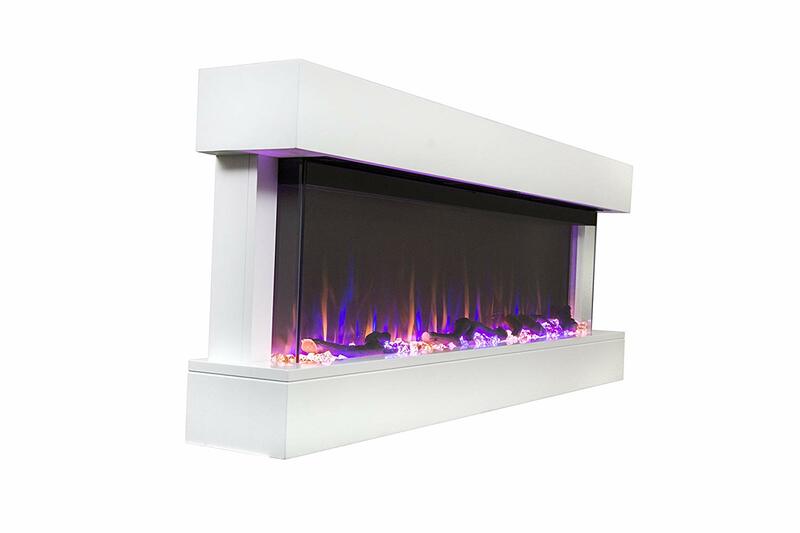 Touchstone Chesmont 50" 80033 50" White Mantle, Wall Hanging Electric Fireplace. Touchstone's Chesmont 50" electric fireplace features a fully finished mantel design. Housed within the three-sided mantel is the industry's leading lifelike LED flame technology that is sure to complement the existing decor in your home. This 50" wide electric fireplace can be mounted on the wall of your bedroom, family room, or anywhere in your home to offer the aesthetic appeal of a finely crafted fireplace without the troubles and stress of an actual fire and is available in a crisp white or modern black look. Eko Duo 55-200 KBTU Automatic Coal Boiler, Self-cleaning Rotary Cast Iron Burner and Automatic Ash Removal System, Burn Pellets, Grains and Other Biomass. Eko Duo is the last generation of the automatic coal boiler. 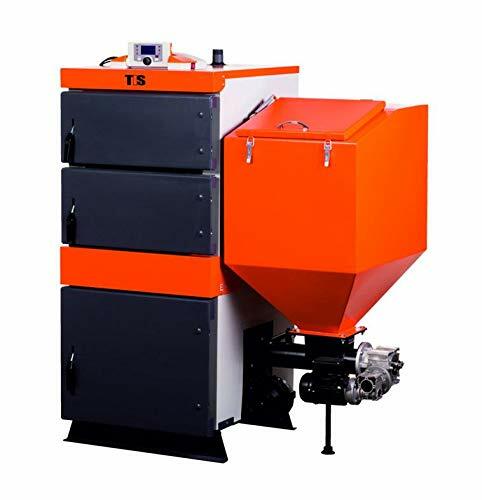 It is equipped with a modern self-cleaning rotary cast iron burner, a feeding auger, an electric gear motor, a hopper and a backdraft prevention system. 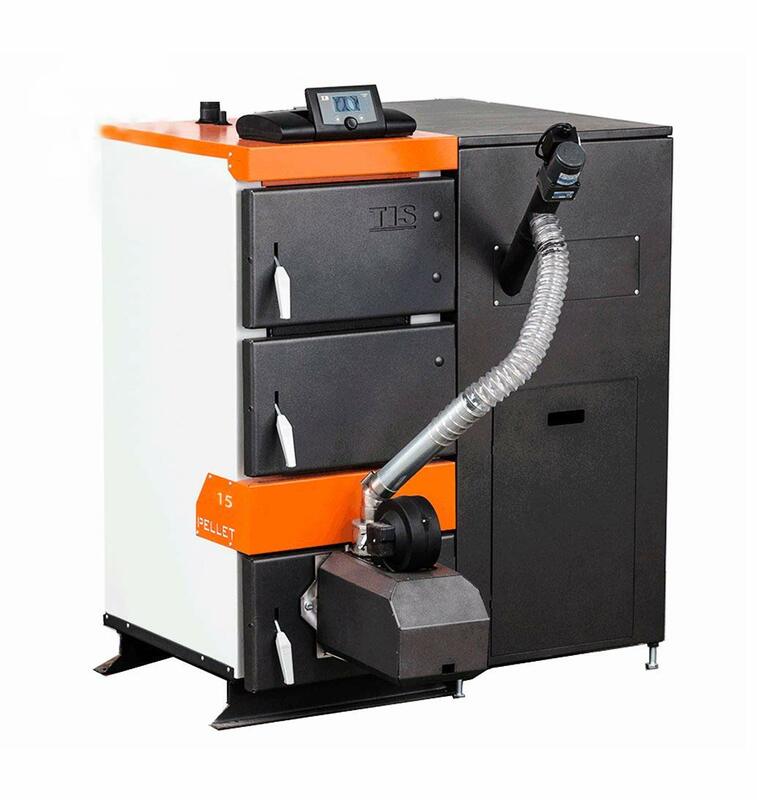 The automatic burner in the bottom chamber burns coal but also pellets, grains and other biomass up to 1½". You can also manual feed coal, wood chips, peat briquette and much more using the middle chamber. The unique design allows complete heat recovery. The boiler has a guaranteed efficiency of 90%. Pellet Duo 95-330 KBTU Boiler Includes a Self-igniter Burner, Burn Pellets From Flax, Sunflower Husks, Grains, Cherry Pits and Similar or Any Kind of Manual Feed Biomass. Pellet Duo is our most modern and efficient automatic boiler. The fuel supply operates with a hopper, a motorized auger and a motorized burner feeder with integrated fuel backdraft protection. The burner is made of heat-resistant stainless steel, a self-igniter, flame sensor, moving grates system for cleaning up ashes and the fan. 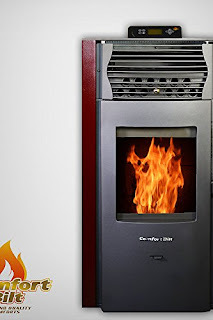 The optimize combustion result in complete heat recovery with a guaranteed efficiency of 92%.